Holy Faith ABC of Information Technology Class Ninth is shot to show students the basics of information technology with processing tools and its applications in daily life. This book is relies on the newest pattern prescribed by the CBSE Board for New Curriculum programme. It is divided into two terms- Term I and Term II which are than sub-divided into three units. Information technology has become an integral part of the present-day world. Computer being a basic mode of communication in almost every field of specialisation, has a massive impact on the society in every approach. This book indulges curiosity in students for the subject and fosters technological know how. The colorful illustrations, flowcharts, activities, and pictures leave a long lasting memory of various topics. This book boasts the ability to understand the vital importance of this vast field with the help of technological tools. 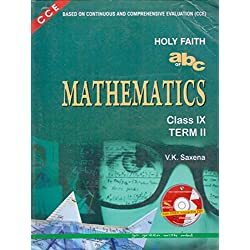 The exercises in this book comprises of Formative and Summative Assessments which assist in the all round development of students. 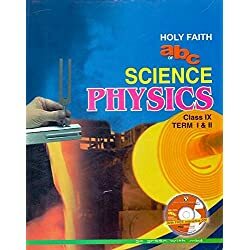 This Computer Science book helps students master the applications of information technology keeping pace with the latest innovations in this field for the progress of mankind.